A triple feature of holiday oddities and other surprises! Santa brings Christmas cheer to the New Beverly with an assortment of holiday oddities, Yuletide mind-busters, gleeful curiosities, and other jolly surprises. Leading off with the cult classic Santa Claus Conquers the Martians, unwrap a merry medley of jubilant excess including cartoons and trailers plus two bonus top secret psychotronic features sure to put you in a festive mood. 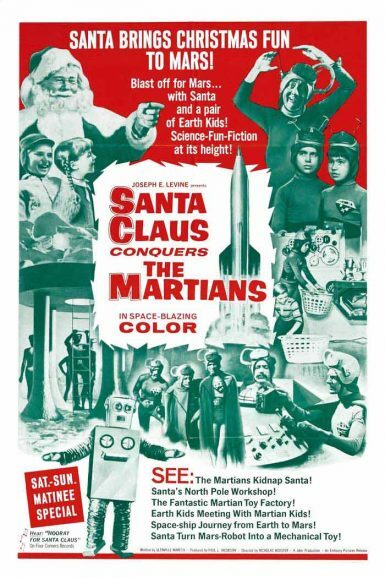 Check out a collection of Santa Claus Conquers the Martians lobby cards on the New Beverly forum.